A fundraising blitz by the Office of the Vice President for Research’s first development director hopes to make a proposed autism research center a reality. The University has stayed committed to the autism and neuro-developmental disorder center since its conception in 2010, but Vice President for Research Leo Chalupa said the project cannot move forward unless newly hired Heather Russell can raise the capital for it. Chalupa has said $10 million is needed to completely launch an autism research center, but University spokeswoman Jill Sankey said Tuesday that the development of a center could begin with a portion of that sum raised. Chalupa said Russell, a former development director for the Texas-based Autism Treatment Center who started at the University last week, has a tough task ahead of her. He has set a goal for Russell to raise $2 million to $3 million this year, which could get a lift from forging partnerships with private foundations, and continue fundraising over the next three to five years. With 30 years spent raising funds to provide education and job opportunities for children and adults diagnosed with autism, Chalupa said Russell is the perfect fit for GW’s own autism enterprise. “I’m excited to be on the ground floor on this. This is big, to say the least,” Russell said. Inspired by an autistic student while studying special education as an undergraduate, Russell has since looked to development as a way to make more readily available the specialized programs that autistic patients require. “It’s interesting how through the years the degree of separation people have to autism has been reduced. Almost everyone I speak to knows someone or has someone in their family,” Russell said. Russell will also raise money to increase the number of undergraduate research fellowships available through the University as a way to encourage more interdisciplinary work like autism studies. Since his arrival at GW in 2009, Chalupa has worked to carry out University President Steven Knapp’s goal of becoming a top-tier research institution. If the University can raise money for the research center, Chalupa said finding space for it is another hurdle. The center could be a signature focus of the $275-million Science and Engineering Hall, which opens in 2015, because the research would cross science disciplines, he said. Chalupa said he envisions a “brain floor” in the building that targets research and treatment initiatives for various brain disorders. Forrest Maltzman, senior vice provost for academic affairs and planning, who sits on the Science and Engineering Hall’s space policy committee, said a autism research would be a good fit for the interdisciplinary-focused building. “Certainly research on the autism spectrum involves interdisciplinary work. The [Science and Engineering Hall] is well-suited to centers involving both behavioral and biological research,” Maltzman said. Valerie Hu, an autism researcher and biochemistry and molecular biology professor, said the research center plans have fallen behind because the University has yet to commit significant time or fundraising efforts to the project. 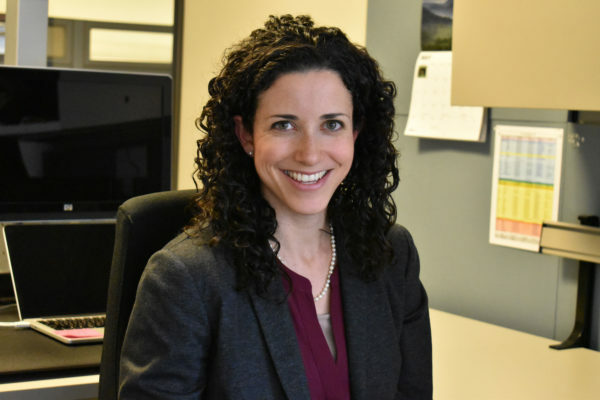 “Our original timetable for the initiative projected an existing GW autism institute by the end of 2010,” she said, adding that hiring a development officer is an important step in the right direction. 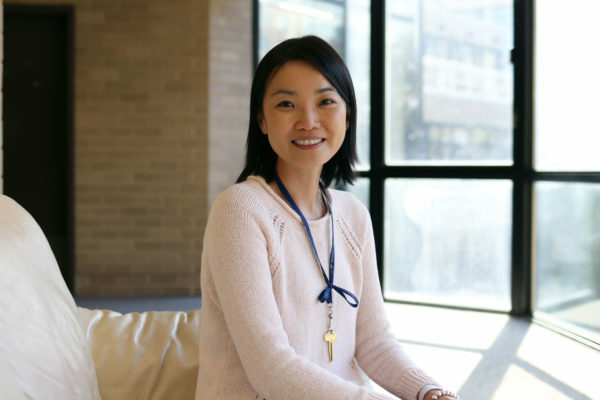 Laurie Alderman, an assistant professor in the Graduate School of Education and Human Development who specializes in autism research, praised GW’s commitment to developing the research center and its focus on autism. “Something of this magnitude obviously does not happen overnight, but with the increasing numbers of children with autism in our country, the sooner the better,” Alderman said. Cory Weinberg and Lauren French contributed to this report. This article appeared in the February 16, 2012 issue of the Hatchet.